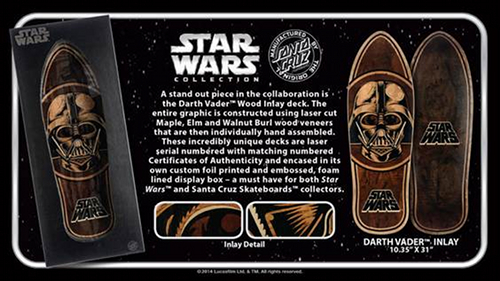 Santa Cruz Skateboards™ announces its collaboration with Lucasfilm Ltd., featuring a limited edition collection of Star Wars™ skateboard decks and cruzers. Known for its iconic graphics, Santa Cruz has now created original illustrated graphics of classic Star Wars characters available on both decks and complete cruzer skateboards. 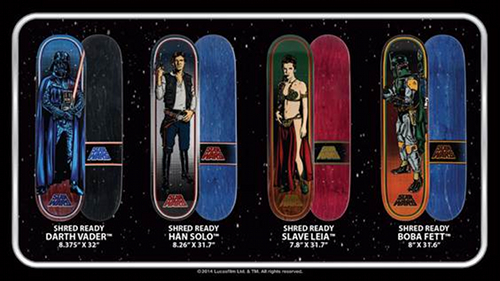 Four Star Wars skateboard decks are available in either “Collector’s Edition” or “Shred Ready” models so fans can set up one to ride or keep the other in its highly collectible packaging. 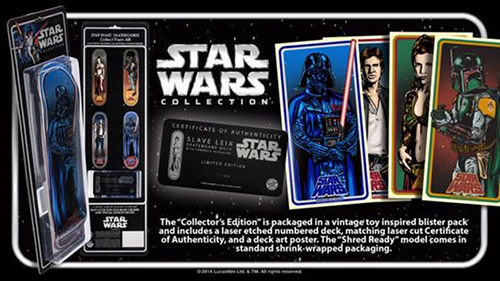 The "Collector's Edition" is packaged in a vintage toy inspired blister pack and includes a laser etched numbered deck, matching the laser cut Certificate of Authenticity, and a deck art poster. The "Shred Ready" model comes in standard shrink wrapped packaging. The cruzer offering consists of five extremely functional shapes and sizes adorned with vintage-inspired, Santa Cruz illustrated portraits of classic Star Wars characters. All Star Wars cruzers feature the same high quality components Santa Cruz is known for. 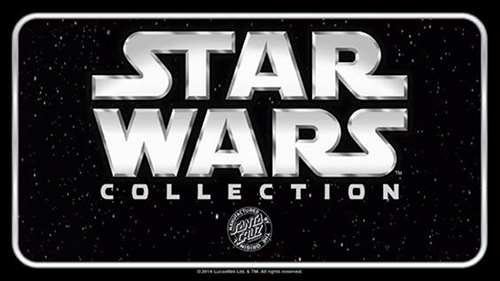 Star Wars and Santa Cruz Skateboards™ collectors. 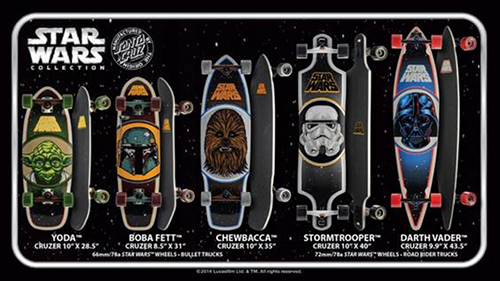 The Star Wars skateboard collection by Santa Cruz will be released on March 3rd at finer skateboard retailers around the world with additional offerings to follow in Summer and Holiday 2014. View the whole collection and purchase at www.scskate.com.